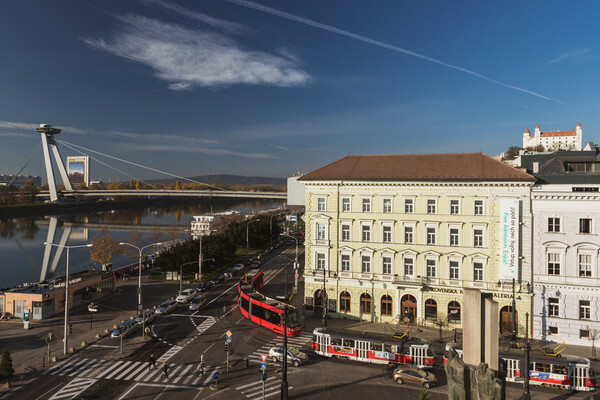 In 1990, the SNG acquired the building of Esterházy Palace in Ľudovít Štúr Square in Bratislava. It is an adjacent multi-storied building in neo-Renaissance style, built during the 1970s by architect J. Feigler, Jr. It features typical neo-Renaissance elements, alluding to the Italian High Renaissance and especially the architecture of city palaces. This grand building, with preserved staircase, balconies, windows with triangular frontons and plastic bossage, was partially rebuilt in the 1920s. 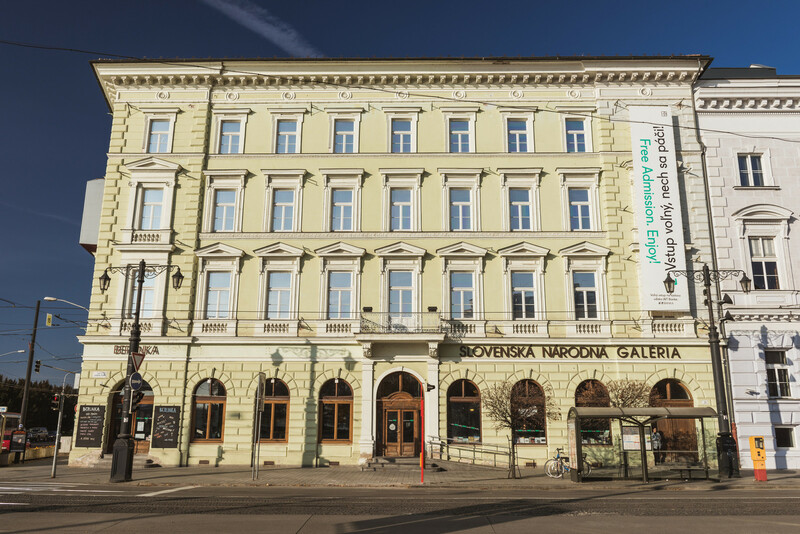 The legendary café Berlinka was located on the ground floor, its premises serving as 'column hall' for exhibition purposes and was later rented out. Nowadays, with the old name Berlinka, the café is open for the public again. Currently, Esterházy Palace (EP) is the only public space of the Slovak National Gallery in Bratislava. The building houses exhibition spaces, visitor facilities, depositories and the Fine Art Archive. 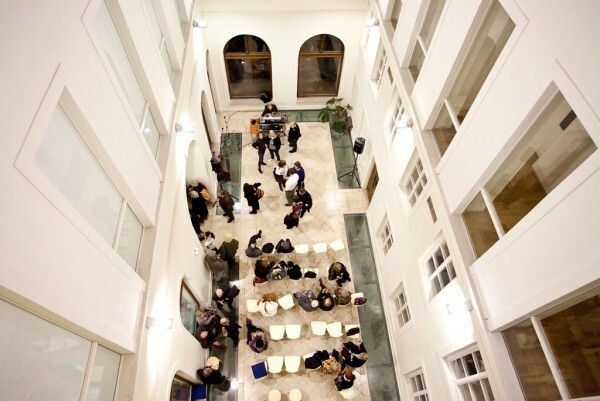 Ex Libris bookshop and Berlinka Café are housed on the ground floor, as well as atrium which hosts selected programs and events. The permanent exhibition is located on the first floor, the other two floors are intended for current exhibitions. The attic houses the Fine Arts Archive and the depository for artworks on paper. The building was renovated during 2005 - 2006 according to the architect Rosica Borščová's design.